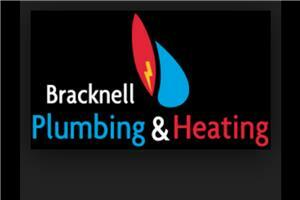 Bracknell Plumbing & Heating has been established since 1990, and over the years the company has gathered a wealth of qualifications, knowledge and experience in all aspects of heating work. We are a family business and believe that by remaining a small company we are able to provide a more personal touch to all our customers. We are also so lucky to have five excellent office staff with eighteen experienced plumbers/engineers working for us full time, which allows us to respond to any customer requirement immediately and professionally. Also each large project like new heating installations, hot water cylinders and bathroom projects are carefully planned and managed professionally by Mark Wilkie and Martin Rayner. Mark is our technical heating and plumbing designer/estimator who manages all projects with the engineers and plumbers professionally from beginning to end. Martin is our in office, project and logistics manager who plans, implements, and controls the efficient, effective flow of each installation to meet with customers' satisfactory requirements. We are really proud of what we have achieved over the years and we now have thousands of satisfied customer on our system, which we call friends. We don’t just do large projects – we do all small general heating and plumbing works including, boiler services, boiler breakdowns, gas safety certificates, tap and shower works and so much more.